‘Politikverdrossenheit’ and the German Bundestag Elections – a Case of ‘Learned Helplessness’? 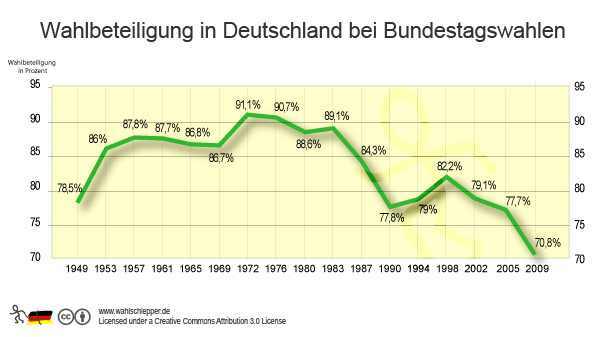 Obviously, there is a steep decline of voter turnout (or rather: a notable increase in the numbers of nonvoters) since the 1998 election that lead to the voting out of Helmut Kohl. Before that, a decline is observable as well, beginning after 1983, the year, Kohl was re-elected for the first time. I guess, all throughout the 80ies, a lot of people (his supporters as well as his opponents) thought Kohl was going to win anyway – so there was no need to show up. But I feel it´s something else when looking at the years after Kohl´s dismissal. I wonder if this increase in nonvoting behavior can be explained by the theory of Learned Helplessness (LH). Martin Seligman spent most of his career prior to becoming one of the founding fathers of Positive Psychology in the not-so-positive realm, e.g., studying the nature of depression – which eventually led to his formulation of the theory of LH. In an nutshell, this is a psychological state that leads to behaviors such as passiveness and apathy. It can be elicited by exposing subjects to conditions where they repeatedly experience that their actions have no effect on the outcome of future events (e.g., avoiding a painful electric shock). A lack of control with regard to future events makes people impassive – and oftentimes, miserable. So where is the link to the upcoming elections? Put simply: since Helmut Kohl´s dismissal, in Germany you can pretty much not be sure any more about getting those politics you´ve voted for. And I´m not talking about silly voting pledges here. I´m talking about the fundamentals of what it (supposedly) means to be a ‘conservative’ as opposed to being a ‘liberal’. Lets put aside for the time being that the political landscape in Germany may be a bit more complicated that its U.S. counterpart – mainly due to the existence of several smaller parties in addition to the ‘big two’: the Christian Democrats and the Social Democratic Party (SPD). Now suppose you vote for the Republican party in the U.S., they win – and a certain time after the election, they cut down on the military budget, start to mess with the nuclear power lobby, or think out loud about a financial transaction tax. Or, on the other hand, you vote for the Democrats, they win, and shortly after the election, they lower the top income tax rate, pass a bill that severely cuts the welfare budget, and becomes immensely popular among the nations corporate top executives. Sounds strange? But basically, that is what has happened in Germany over the last decade. and came to be known as the ‘Auto-Kanzler‘ due to his pro-business politics. 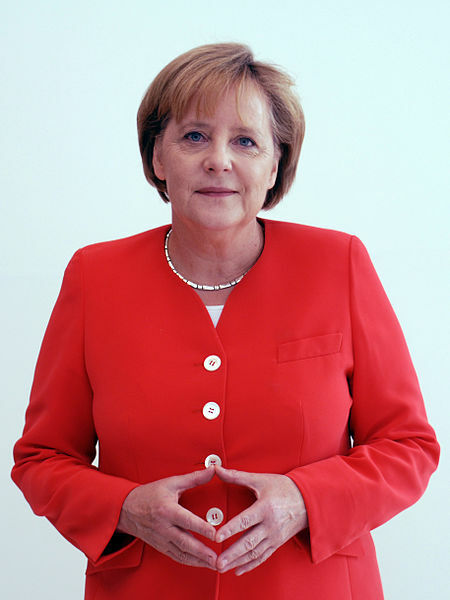 and has notably moved Germany´s conservative party to the ‘left’. ← Was Socrates a happy Man? And if he lived today – would he be a Blogger?